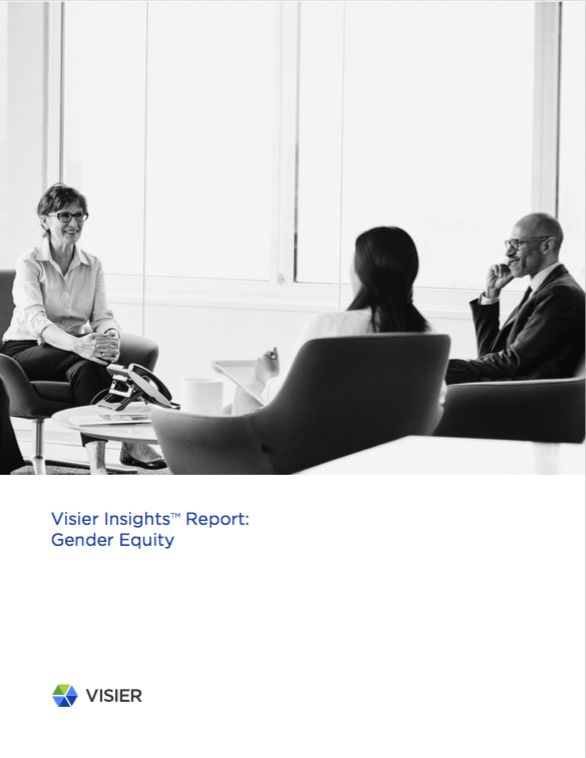 Visier Insights: Gender Equity Media Kit - Visier Inc.
Read the press release U.S. Study on Gender Pay Equity Discovers New Key to Closing the Gender Wage Gap: The Manager Divide. 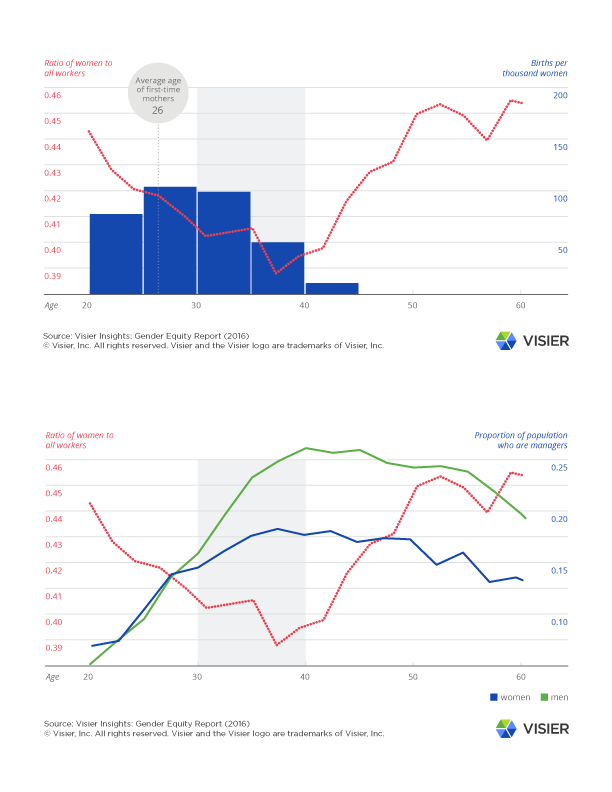 A new study from Visier, the leader in Workforce Intelligence, has found that mothers in the US continue to pay the price in career advancement and wages for starting a family. 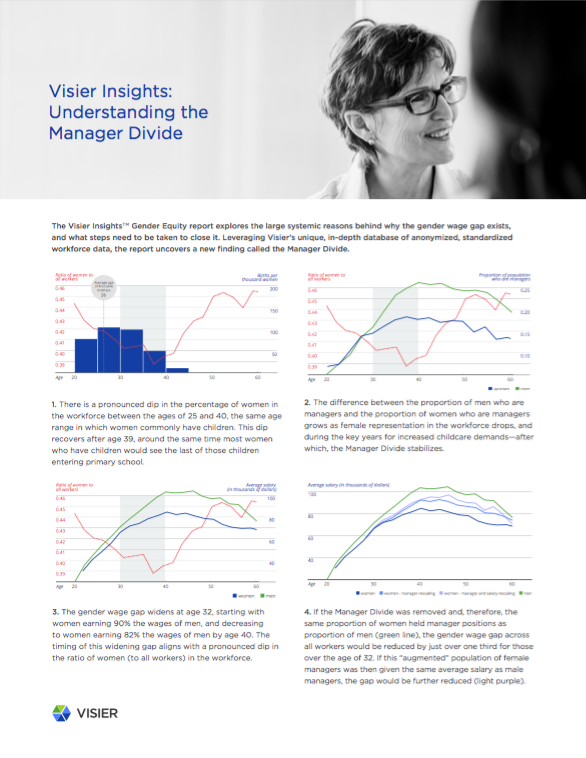 The Visier Insights: Gender Equity report uncovers a direct correlation between the Manager Divide, a growing underrepresentation of women compared to men in manager positions from age 32 onwards, and a widening of the gender wage gap. The report finds that eliminating the Manager Divide, which coincides with the years in which women typically have children, would cut the gender wage gap by nearly one third.